Marissa Carter, Founder of Cocoa Brown, shares the common tanning mistakes people make and how best to avoid them and achieve a gorgeous glow with a flawless finish this summer. Embrace your natural complexion by wearing a tan to suit your skin tone. The Cocoa Brown by Marissa Carter 1 HOUR TAN MOUSSE comes in three shades to suit all, and can be developed for one, two, or three hours depending on the depth of colour you wish to achieve. Tan stained hands is a huge giveaway that your tan may not be real, so using a good quality mitt such as the Cocoa Brown by Marissa Carter Tanning Mitt is a must. You can also add a small amount of petroleum jelly through your eyebrows to prevent the tan from discolouring them. Use an oil-free moisturiser such as Cocoa Brown by Marissa Carter Chocolate Whip Oil-Free Body Moisturiser on your feet, ankles, knees, elbows and hands to ensure a totally smooth application. Preparation is key! Many people forget to exfoliate before applying their tan which can lead to patchy skin and discoloration. Using the Cocoa Brown by Marissa Carter TOUGH STUFF 3 in 1 Body Scrub 24 hours prior to application will help prevent this. Let your tan dry before having a drink or brushing your teeth as accidental drips may wash away the colour. This also applies to tanning with wet hair! Products like the Cocoa Brown by Marissa Carter Golden Goddess Shimmering Dry Body Oil will add an illuminating glow to your bronzed skin. Apply a coat of nail polish to your nails on your hands and feet, as this will prevent tan from staining the nail plate. 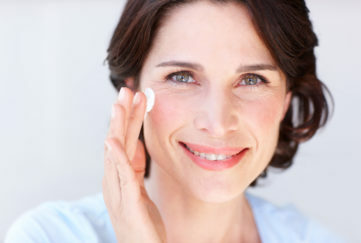 Again, a little bit of petroleum jelly will stop the tan from further darkening the area – no one likes panda eyes! Wear loose, dark clothing while the tan is developing and avoid contact with water to minimise any transfer. The first time you shower after you’ve applied your tan, use shower gel but don’t exfoliate your skin. 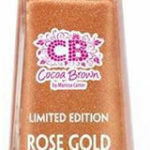 Cocoa Brown by Marissa Carter launched five years ago and now has over 15,000 stockists in 23 countries, selling three bottles a minute of their revolutionary 1 HOUR Tan Mousse – now available in three shades. Other products include their Goddess Shimmer Dry Body Oils to add an extra glow to your tan, their Tough Stuff exfoliator to remove all traces of old tan, and their Chocolate Whip Body Moisturiser to ensure a slow and even fade. 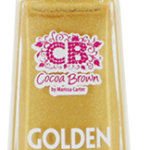 Cocoa Brown by Marissa Carter is available via numerous UK stockists including Superdrug and Primark, with prices starting from just £5.99.